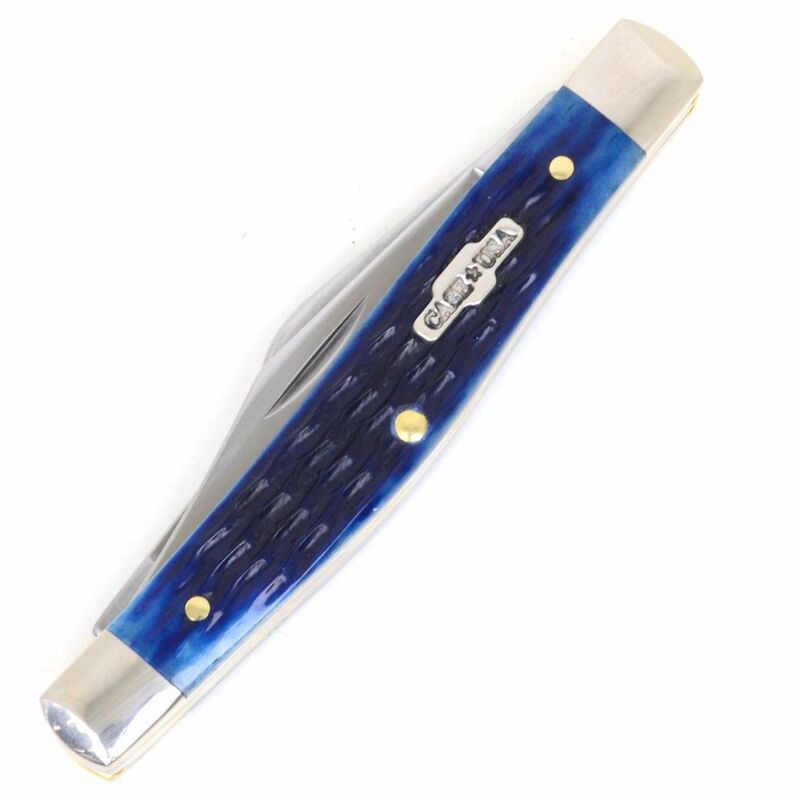 Case Knives, 3 blade, Medium Stockman, pocket knife, CA2806, made in USA. 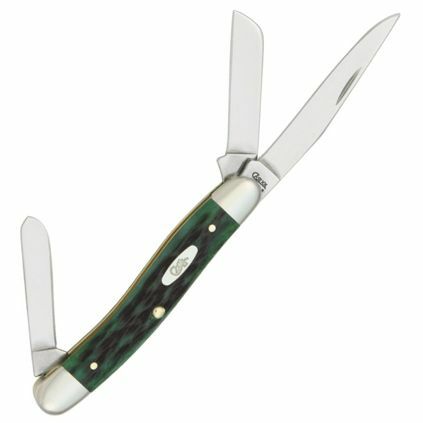 Measures 8.5 cm (3.25 inches) closed, Tru-Sharp surgical stainless steel, 6 cm (2.5 inches) master blade, 4 cm (1.75 inches) sheep foot and spey pocket knife blades. 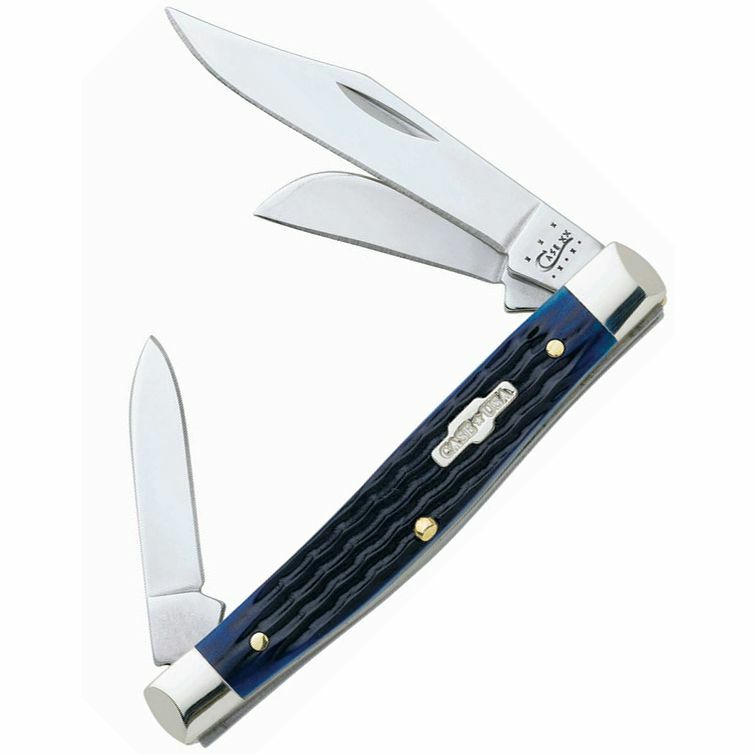 Jigged, blue bone handle. 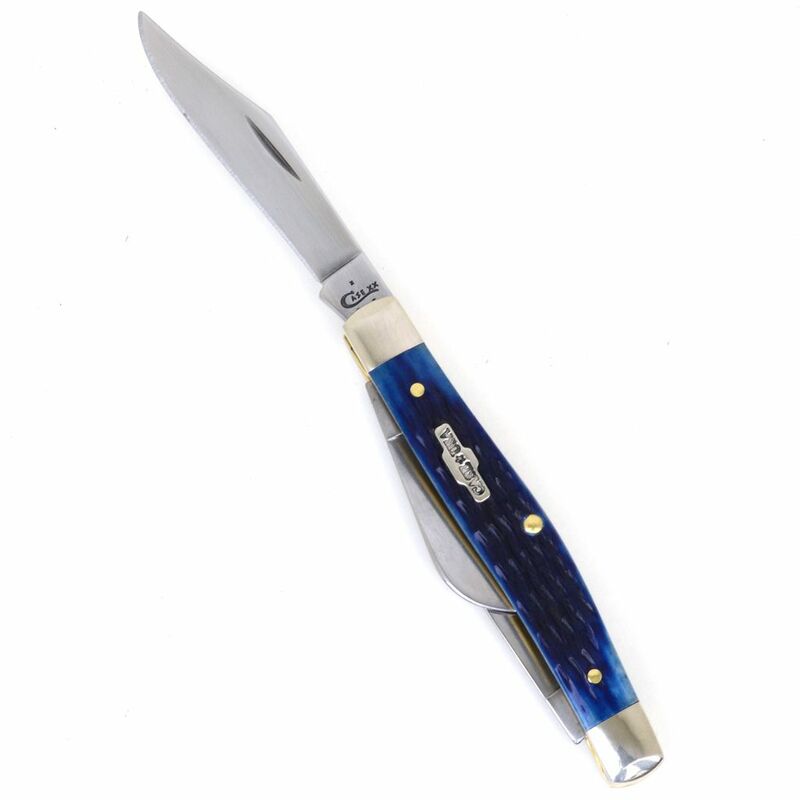 Tru-Sharp, surgical stainless blades, nickel silver bolsters, brass handle liners. 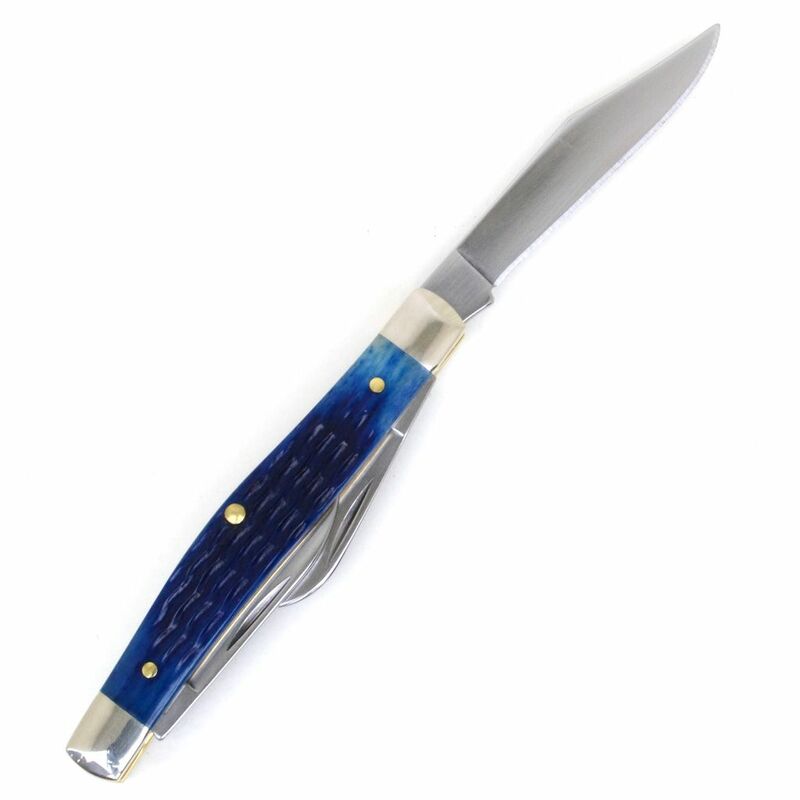 Traditional livestock farmer's knife, also ideal as an every day carry pocket knife, suitable for whittling, wood carving, model making etc.